Bike Pic Dec 25, Merry Christmas and Happy Holidays, 2018! It’s finally the day we’ve all been waiting for, Christmas is finally here. 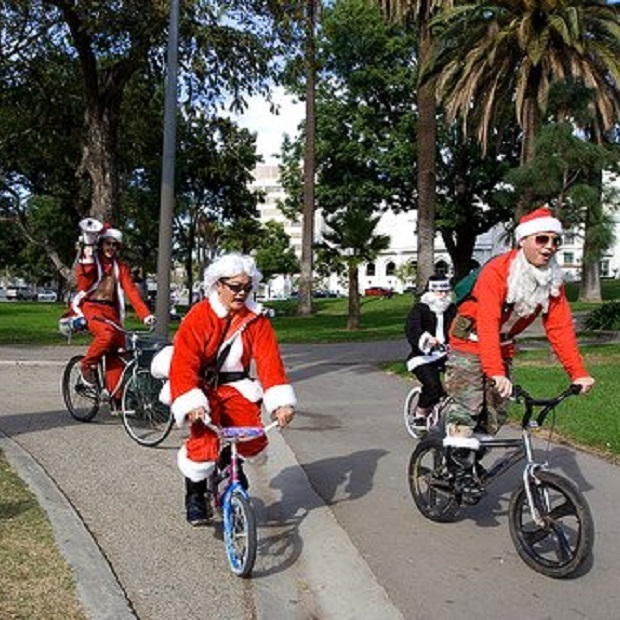 So Happy Holidays from all of us at HaveFunBiking! We appreciate all of you who support us and hope you have a wonderful time out with your family and friends. We also want to extend an invitation to those who may have received bikes as a gift. Send us your photos and videos, along with a brief description if you wish to have them seen on one of our daily posts. 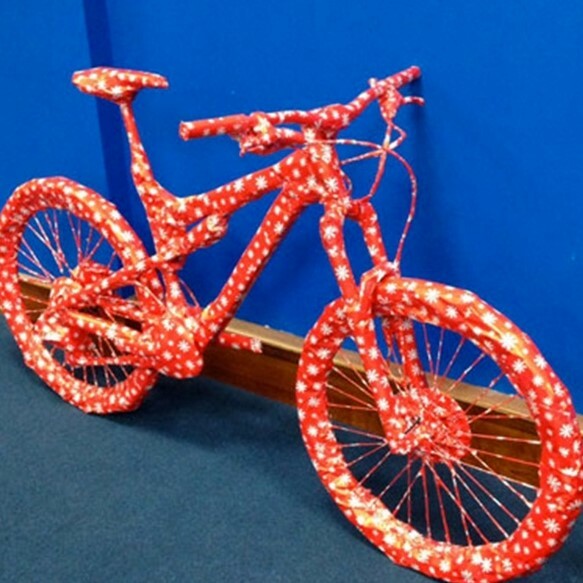 Did you get a fun present you would like to share at HaveFunBiking? See all the places to explore with your brand new bike in the new national HaveFunBiking Guide. This entry was posted in Picture of the Day and tagged bike, Bike Guide Minnesota, Bike Guide MN, Happy Holidays, Merry Christmas, Minnesota Bike Guide, MN Bike Guide, National bike guide, seasons greetings on December 25, 2018 by Stephanie Hunt. 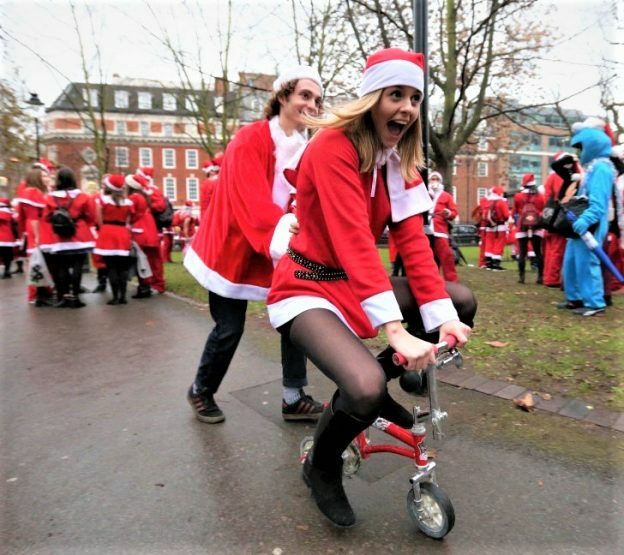 Seasons greetings from all of us at HaveFunBiking.com, we wish each and everyone a fun and memorable holiday season. Santa believes in multi-modal transportation too. 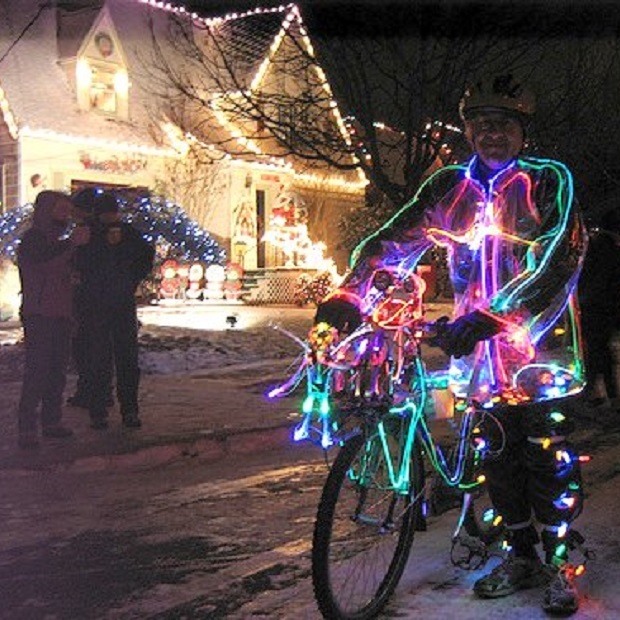 Enjoying the Christmas lights by bike, all lit up! 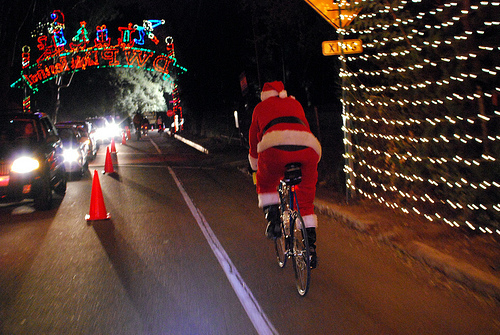 Santa leaving for another year – and all a good night! 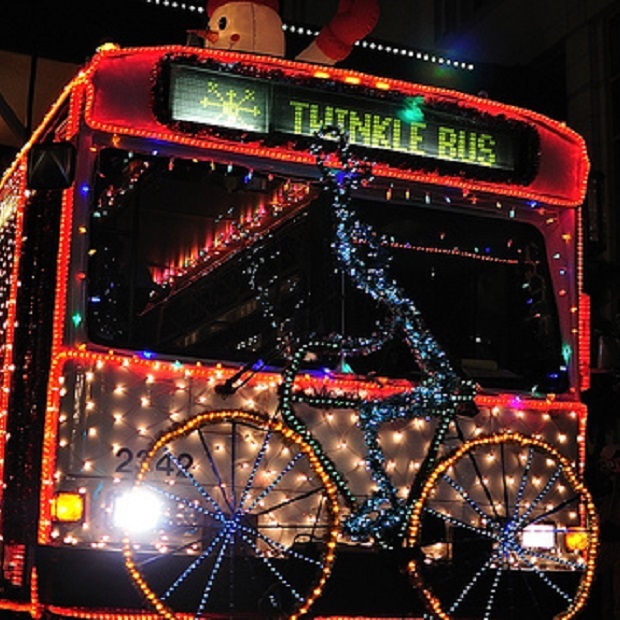 This entry was posted in News and tagged #FindYourNextAdventure, Christmas by bike, Happy Holidays, Multimodal Friendly Bus, Multimodal transportation on December 24, 2015 by Russ Lowthian.